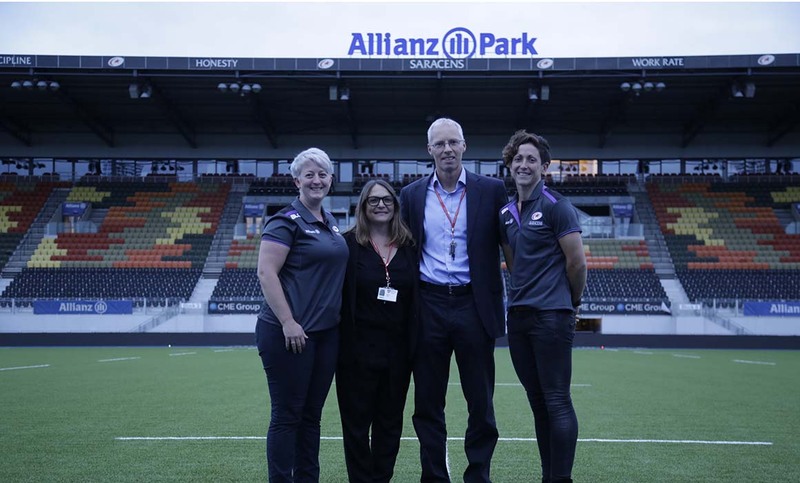 Middlesex University, in partnership with Saracens Women, will become one of only six hub sites selected by the Rugby Football Union (RFU) to drive improvements in the women’s elite game through focused support for talented players. The England Women’s rugby programme has identified the university sector as a key potential source of support for its elite and emerging elite players and has selected Middlesex University to be a key partner in this area. Laura Eddie, Head of Saracens Women, is looking forward to strengthening Saracens’ relationship with Middlesex. "We are delighted to be entering into this partnership with Middlesex University and the RFU to enhance our rugby offer,” says Laura. Mel Parker, Head of Sport at Middlesex University, says the investment by the RFU will help Middlesex become a leading force in women’s rugby. “We are excited by the opportunities which will develop from this investment into women’s rugby at the University, and to build on our existing links with Saracens Women,” says Mel.